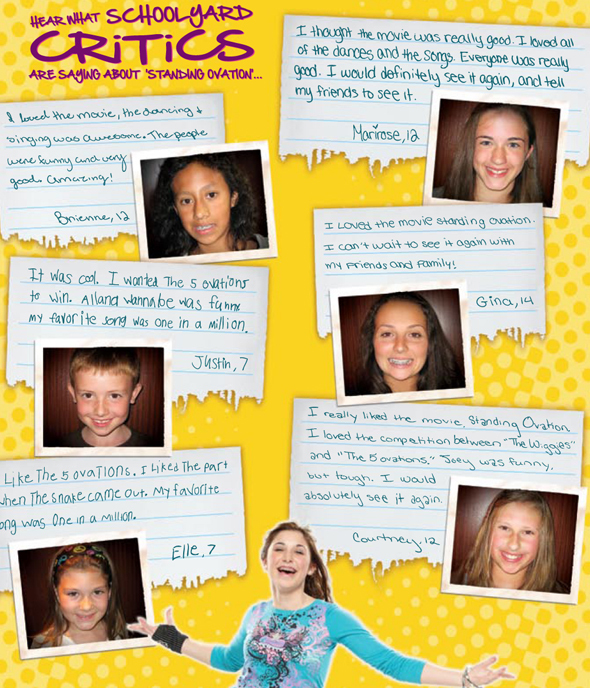 See what kids are saying about STANDING OVATION! BUY THE DVD AND SOUNDTRACK NOW! Standing Ovation is proud to be family-approved by Dove.